To celebrate that I finally found my first job in Australia, we went for a dinner in a restaurant in Crows Nest. Ordered spaghetti with meatballs and char grilled salmon. The spaghetti was good while the salmon is okay! I still prefer japanese-style teriyaki grilled salmon! Me with the wine.. I also bought myself a pair of wedges and a new cardigan!! hehe.. women!! 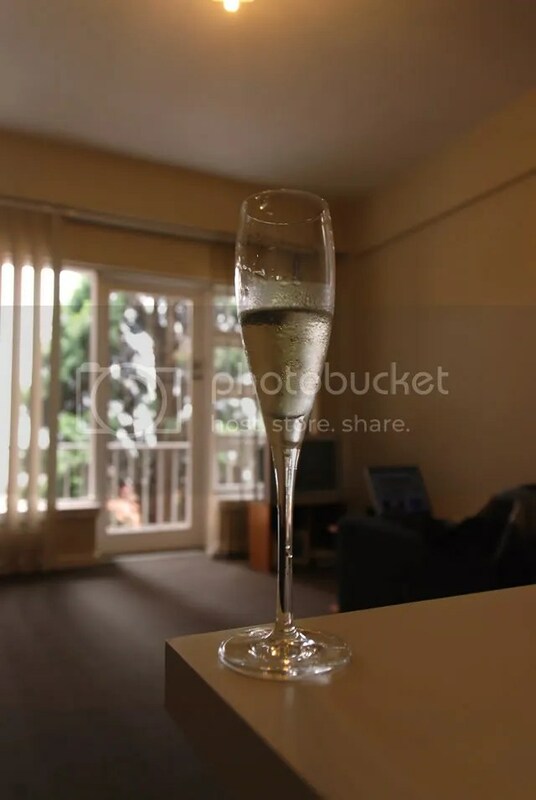 Looking for a suitable apartment in Sydney is not an easy task nowadays. 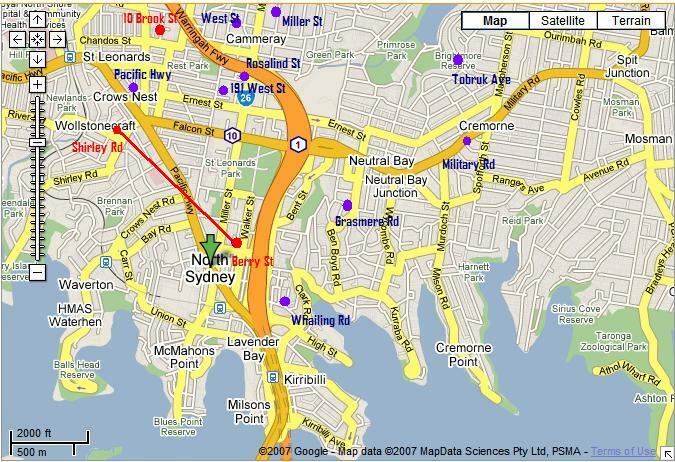 Due to the shortage of housing in Sydney, it is hard to rent a suitable apartment at suitable rate in suitable area. 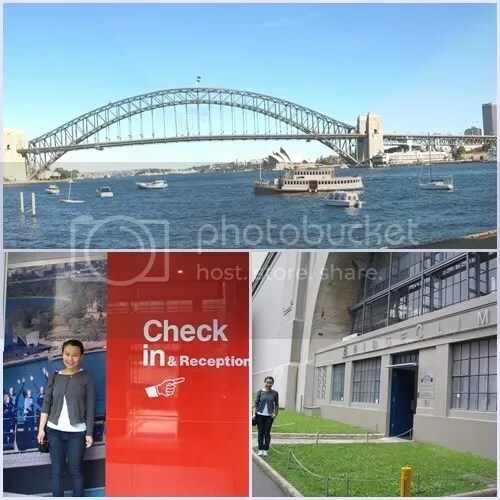 When we first arrived in Sydney, we spent few weeks looking for a suitable long-term accomodation. We viewed all the purple dots and finally we found the place on Shirley Road, the red dot. The red line connects our place to Ethan’s workplace. Finally we got this house which we are quite satisfied. 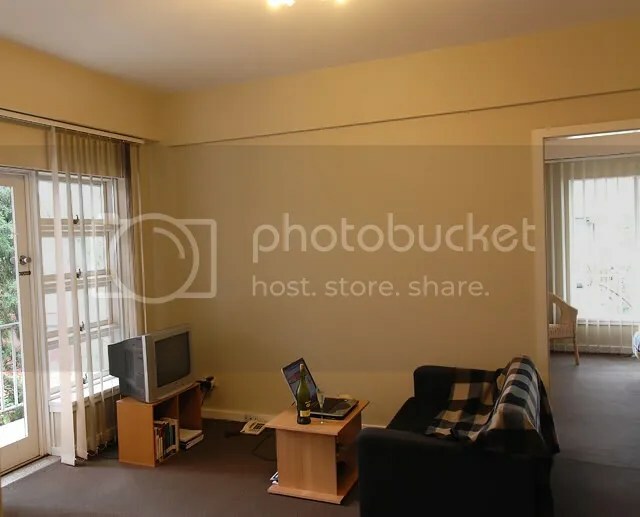 The house is good from all aspect except that it doesn’t come with a car space and it doesn’t have built-in wardrobe like all other places (:P). Yeah, I was offered the job. I accepted the offer and will start working next Wednesday!! The workplace is really far and less convenient. So, we are thinking of buying a used car. There are a lot of websites out there. We are quite inexperience in buying used cars! 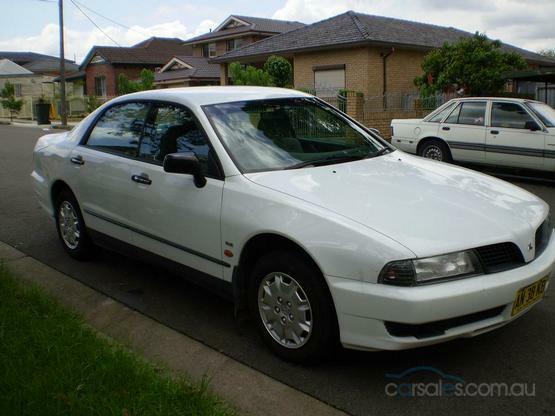 So doing a quick research using Google leads me to the following useful article that gives us some tips on how to inspect a car before buying it. We also found a guide of buying privately in Australia to avoid any potential legal problem afterwards. 1. The Registration Transfer Fee – this is currently $24 in New South Wales. I was overjoyed when I got the call to ask me for 2nd interview. I know this job is an entry level job but I do like the job scope and the exposure I will get from this job. The interview is scheduled at today 5pm. I shall get moving at 2.30pm. Yes the workplace is really far from my place. To reach there in time, I need to give myself a two and a half hour allowance. Imagine when I have to work there.. I may need to wake up at 5am everyday!! Ouch!! 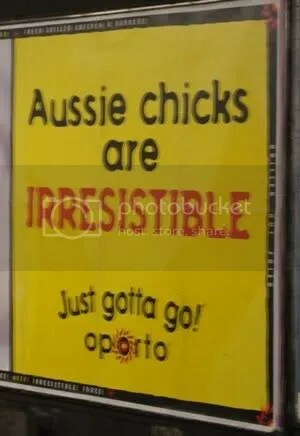 Share with you guys this funny signboard we saw in CBD. From North Sydney, we took a walk across the Sydney Harbour Bridge. It is actually the fourth-longest spanning-arch bridge in the world (1.149km in length). It was a nice walk as the weather was not too hot and the view along the bridge was really nice. We could see the opera house and also a lot of boats/yatches/ships crossing the sea beneath the bridge. If you are interested and not afraid of height, you can join the “bridge-climb” at AUD200 per adult. The Bridge Climb is the most sought after Sydney attraction. It takes you along the upper span of the arch on catwalks and ladders all the way to the summit, 134 metres above Sydney Harbour. Probably, we will try it next time!! 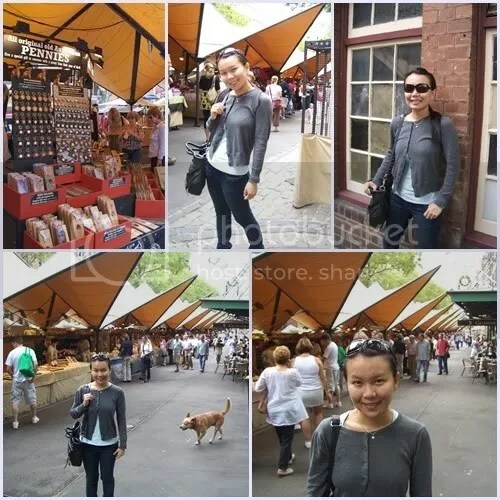 Just nearby the bridge, there is another attraction of Sydney, which is known as The Rocks. Nestled at the foot of the Sydney Harbour Bridge and on the western shores of Sydney Cove, The Rocks was the area of the first European settlement in 1788. Before the 1820’s it was full of convicts and prostitutes, although this has changed from slums to three-story houses. It was later overtaken by warehouses and the maritime industry, later again demolished due to the plague and then the Harbour Bridge Construction. Since the 1970’s it has developed into a tourist area, full of cobbled streets, pretty buildings, gorgeous little shops and a lively nightlife filled with pubs and restaurants. The Rocks also features a fabulous market at the weekend, as well as life music at various venues around the Rocks. 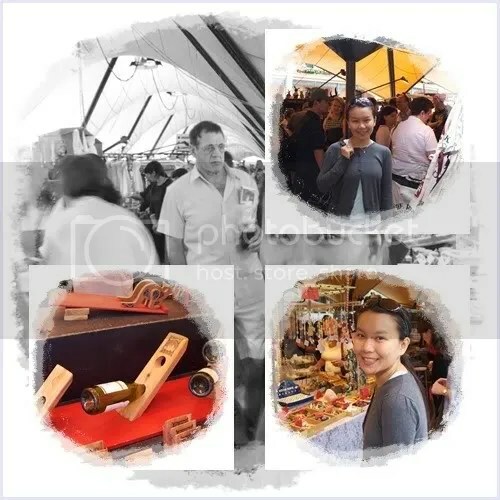 There are a full range of stalls offering unique and wonderful gifts, as well as delicious food stalls and much more. We got ourselves another bottle of Lavender essential oil. We particularly like the scent of lavender. 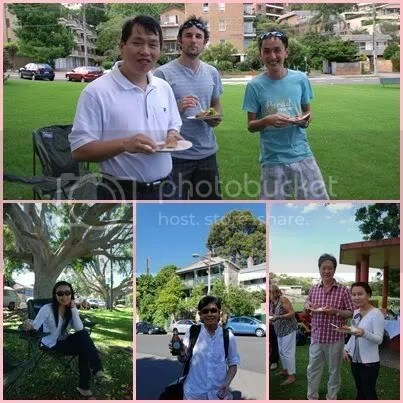 Last sunday, Ethan’s company organized a picnic in Waverton Park, which is 20 minutes from our place by foot. 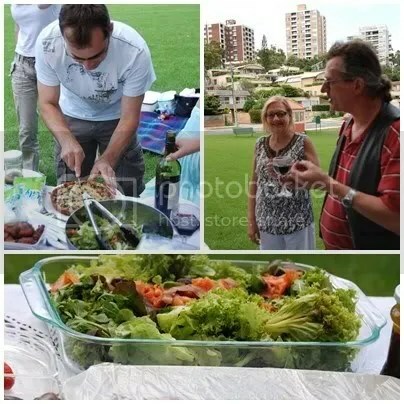 Each family would contribute some food to the party. We brought two cakes: chocolate cake and banana cake. Ethan’s big boss brought a lot of beers and soft-drinks. Some brought salad, pie, chips, etc!! One of the most memorable food is raw kangaroo meat by Diane. I never eat kangaroo meat before. So this was my first try and to my surprise, it tasted really tender and nice!! 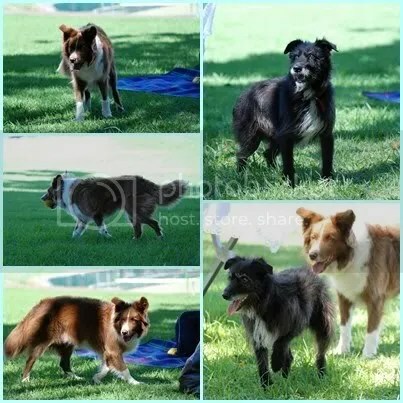 The weather on that day was pretty hot (Australian would categorize this kind of weather as fantastic)!! But we really enjoyed our first outing with Australian friends in Sydney. The main things we did were eating, chatting and relaxing.. The lady is Diane who brought kangaroo meats for us..
A really cute baby, which is the daughter of Ethan’s colleague. The guy in the middle of the top photo is really good-looking!! 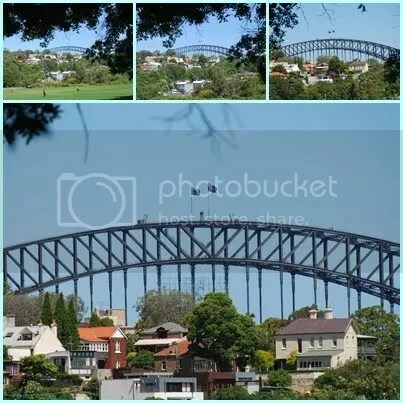 haha..
We enjoyed the view of harbour bridge from Waverton Park. Sambal Kupang (Chilli Mussels) is one of my beloved Malaysian food. That day I saw mussel meat in Woolworths, one of the famous supermarkets in Australia. I was thinking maybe I can make Sambal Kupang myself. Sambal Oeleck (Red Chilli Paste) by Yeo’s!! !